Oroton is a modern lifestyle brand defined by its relaxed, modern Australian approach to luxury. Ever since it was founded in 1938, the company has been synonymous with products of the highest quality and became iconic in the sixties and seventies for popularising gold and silver metallic mesh women’s accessories. 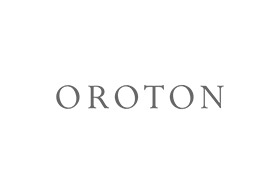 Today, Oroton has evolved to become one of the most celebrated brands on the market, building upon its reputation for luxurious, yet accessible products imbued with a strong sense of heritage and spirit. Full of magical details and unexpected flourishes, Oroton’s uniquely Australian expression of affordable luxury is resonating with customers all over the world.